Purchasing cake decorating supplies through wholesale programs are a great way for companies and businesses to stock their shelves with product at a low cost. In the time it takes to fill out a short application, you could be on your way to significant savings for your business. Stores that are just starting out in the cake decorating supply business will want to purchase particular products wholesale. For example, shortening, cake boxes, and pastry bags are supplies that most stores have large amounts of on hand. It makes sense to purchase these products in bulk or wholesale quantities. Most places will require proof of your business, and will ask for items like copies of your tax identification number and business license. Are Wholesale Wilton Cake Pans Available? The Cake Craft Shoppe requires customers be a retail cake decorating supply store, storefront bakery, or a school of culinary arts in order to be a wholesale customer. The minimum first order needs to be $100. Cake Craft Shoppe offers online customers three ways to shop: by seasonal decoration, manufacturer or by category. In order to get wholesale pricing, potential business customers need to contact Cakery Supplies for information regarding their products, pricing, and wholesale program. Even if you do not qualify for the wholesale program, you can still purchase retail products through their website. Additionally, check out their decorating website for registration and access to their free community forum. CK Products offers customers wholesale accounts after completing and submitting an application for review. The form is available online and you not only need to have information like your tax identification on hand, but also information regarding annual sales amount and store size. An optional credit application is also available online. CK Products offers supplies like boxes, flavorings, books, and even custom chocolate molds. To find out about these discounts, contact the store directly. Most companies that sell wholesale cake decorating products will not sell them to individual members of the public. Intead, it must sold to retailers, schools or perhaps bakeries. Businesses that want to purchase cake decorating supplies wholesale will usually need to fill out an application in order to qualify. 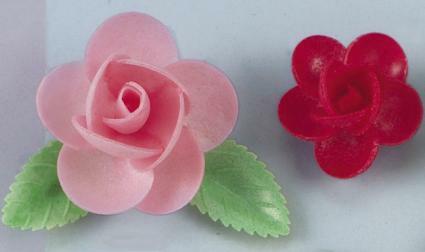 Buying cake decorating supplies wholesale is something reserved for businesses, not individuals. However, you can still find plenty of other discounts for your cake supplies by buying in bulk, signing up for newsletters for online retailers and taking advantage of coupons and sales at local craft stores.